Judith Rose Cochrane, aged 79 years of Moose Jaw, SK passed away on Thursday, December 13th, 2018. Judith was born in Moose Jaw and received her education in Tuxford, SK as well as Moose Jaw. She married Les Cochrane on June 30th, 1956 and together they raised 3 sons. Judith worked side by side with Les on the farm, and raised horses and cattle. She loved being with her family, especially her grandchildren. 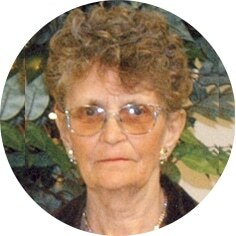 She loved to curl and was involved in many organizations, including the Simmental Cattle Association, Sask Quarter Horse Association, and 4-H. She was predeceased by her parents, Marshall and Edith Crozier; son, David, and granddaughter, Courtney. Judith will be lovingly remembered by her husband of 62 years, Les; sons, Gordon (Greta) and Wayne (Lesley); grandchildren, Doug (Becky) and Devon; brothers, Allan and Jim (Jean); as well as numerous other relatives. The Funeral Service will be held on Thursday, December 20th, 2018 at 1:30 p.m. in Moose Jaw Funeral Home with Pastor John Reimer officiating. Flowers are gratefully declined. As an expression of sympathy, donations in Judith’s name may be made to The Children’s Wish Foundation, 3602 Millar Ave, Saskatoon, SK S7P 0B1. Arrangements are entrusted to Moose Jaw Funeral Home, 268 Mulberry Lane. Todd Sjoberg, Funeral Director 306-693-4550. Les and family Sorry to hear the news of Judith’s passing. Thoughts and prayers with all of you. Les and family,I am saddened by my friend Judy’s passing.My very deepest sympathy.She has gone to look after David and Courtney. My sympathies to the family on the loss of Judy. I was not expecting this at all.Don & I are so sorry for all of you. You have many wonderful memories, I’m sure you’ll hold them close. Les and Family; We were so sorry to hear of Judy’s death. We send our deepest sympathy to each of you during this very sad time. I AM SO SORRY FOR YOUR LOSS! HUGS AND PRAYERS! Bob and I are so very sorry to know that Judy has passed away. We always enjoyed visiting with her and you, Les at the many different places we have seen each other over the many years. I knew Judy for almost 50 years and we always had something to talk about or catch up on. Your family has been through so much. We are grieving with you and thinking of you all at this very difficult time. Les & family: cannot seem to locate your mailing address to send you our condolences so will do so here. We were so sorry to hear about your wife’s passing, Our deepest sympathy.